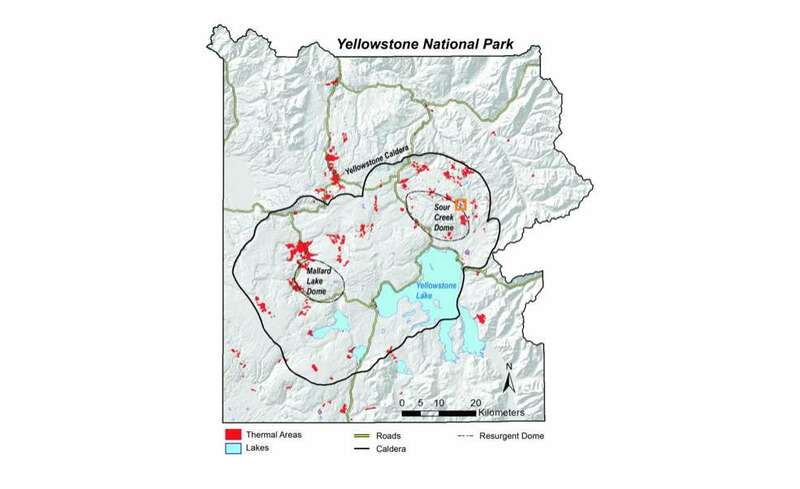 Located in the Tern Lake region northwest of Yellowstone Lake, the thermal area started forming in the late 1990s or early 2000s, with a notable number of trees being killed by thermal processes between 2006 and 2017. A quick Google Earth search of the coordinates (44.6635° N, 110.279° W) shows a barren, ashy landscape void of vegetation and scattered with fallen dead timber. Yes, we have to say it. The emergence of new thermal features is not in any way indicative of an imminent doom spurred by the park’s supervolcano. “This is exactly the sort of behavior we expect from Yellowstone's dynamic hydrothermal activity, and it highlights that changes are always taking place, sometimes in remote and generally inaccessible areas of the park,” wrote scientists in a blog post. The region that makes up Yellowstone National Park is dynamic, serving as an excellent guinea pig for understanding how Earth’s processes work in real-time. To track these changes, scientists use satellite-based thermal infrared remote sensing in order to map the locations of thermal areas and how they change over time. 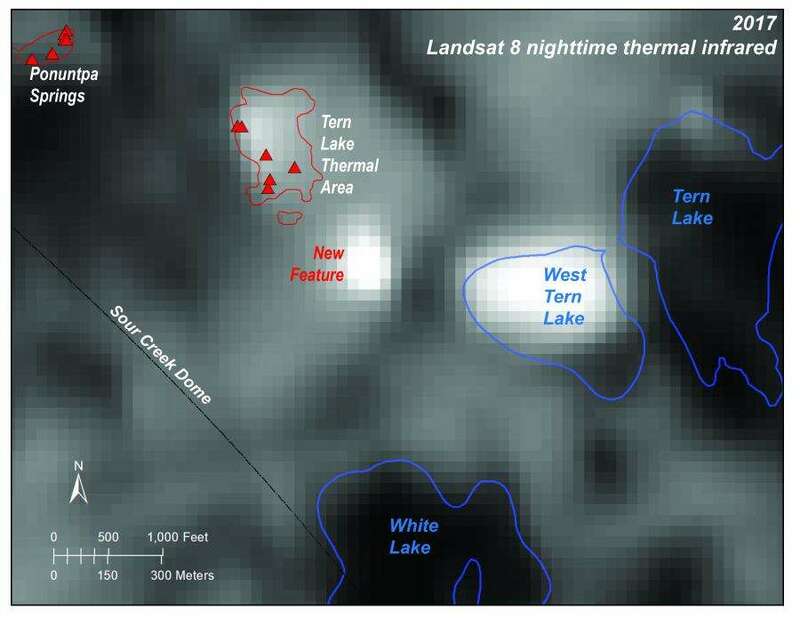 In this case, Landsat-8 thermal infrared images were acquired at night to reveal the contrast between thermal areas and unheated ground. April 2017 readings picked up on an unexpected warm area between West Tern Lake and the previously mapped Tern Lake area that didn’t match any previously mapped thermal features. So, scientists took to the archives. To spot the new thermal area, geologists dug through and compared decades of historical aerial imagery. They first spotted a large area of dead trees and bright soil in 2017 when analyzing high-resolution aerial imagery conducted by the National Agricultural Imagery Program (NAIP). 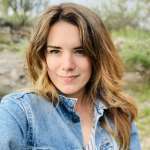 They dug through the archives and found that NAIP imagery from 2006 showed a smaller portion of the area barren of vegetation, as well as the beginnings of a tree kill zone with many reddish-brown dying trees among healthy ones. Jump back more than a decade and 1994 air photos clearly show the area was once filled with healthy trees and had no hint of a thermal area. A thermal area is a contiguous geological unit containing one or more thermal features, like fumaroles, hot springs, or geysers surrounded by ground that has been altered by hydrothermal processes. In Yellowstone National Park, there are more than 10,000 thermal features, most of which are clustered in about 120 distinct areas. Tern Lake is one of these areas, but don’t book your ticket just yet. The area is deep in Yellowstone’s backcountry and sees very few visitors.